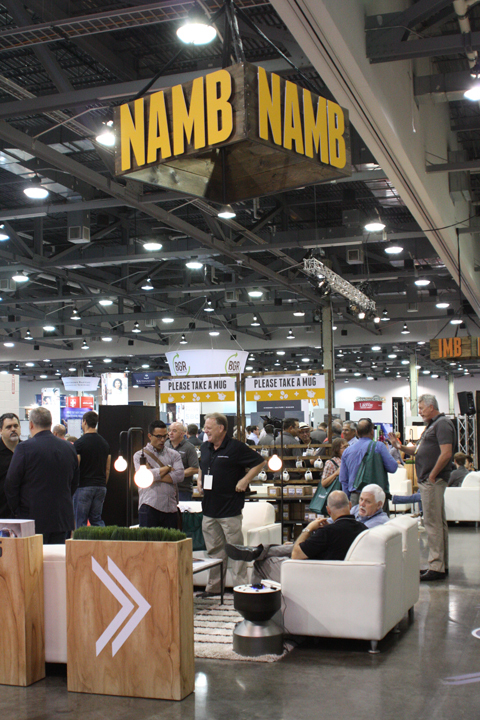 Columbus | The SBC Pastors’ Conference continues today, and the nearby exhibit hall is busy too. Keep checking back here for more news from Columbus! 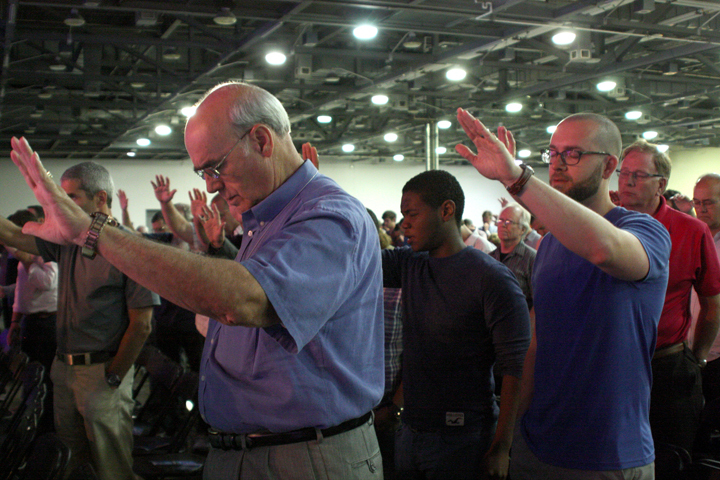 Pastors’ Conference attenders prayed this morning for Pastor Saeed Abedini, who is imprisoned in Iran. 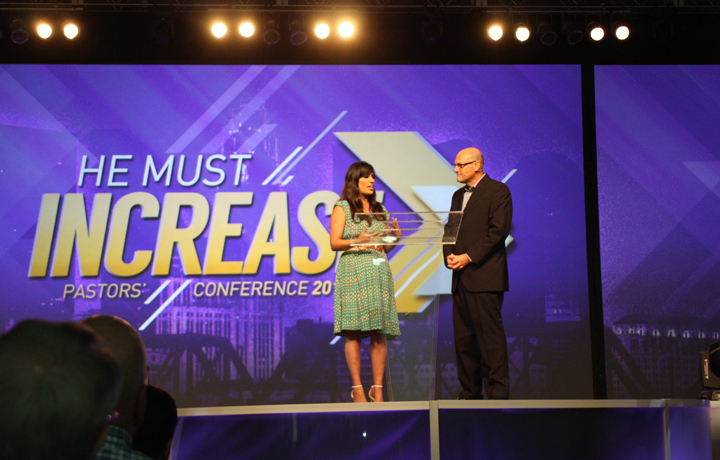 Abedini’s wife, Naghmeh, was interviewed by Conference President Willy Rice. In the first prison where her husband was held, said Naghmeh Abedini (left), so many people were coming to faith in Christ that they had to exile him. 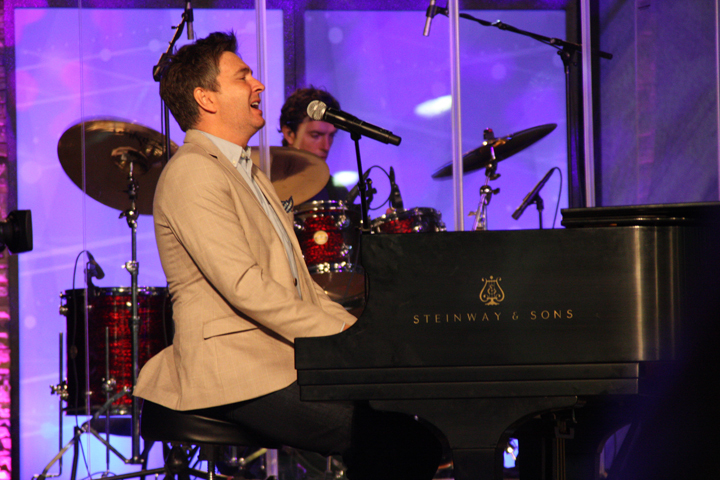 Travis Cottrell, worship leader at Englewood Baptist Church in Jackson, Tenn., leads “Revelation Song” during the Pastors’ Conference Monday morning. 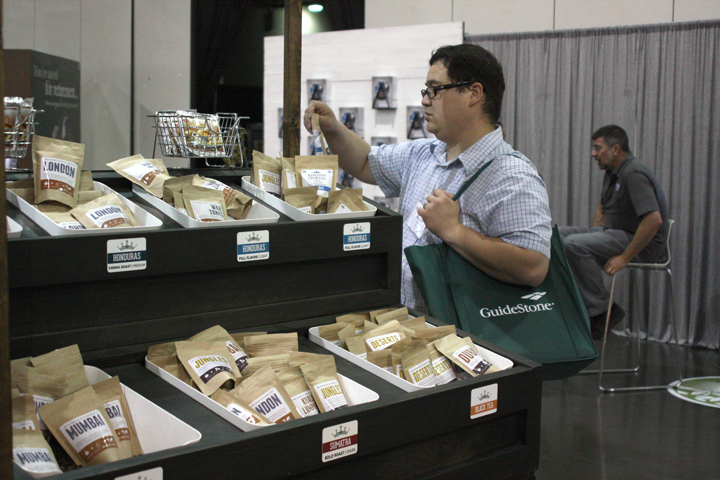 In the SBC exhibit hall, the North American and International Mission Boards have adjoining spaces–and complementary giveaways. NAMB has coffee mugs printed with the airport codes of each of its SEND focus cities. 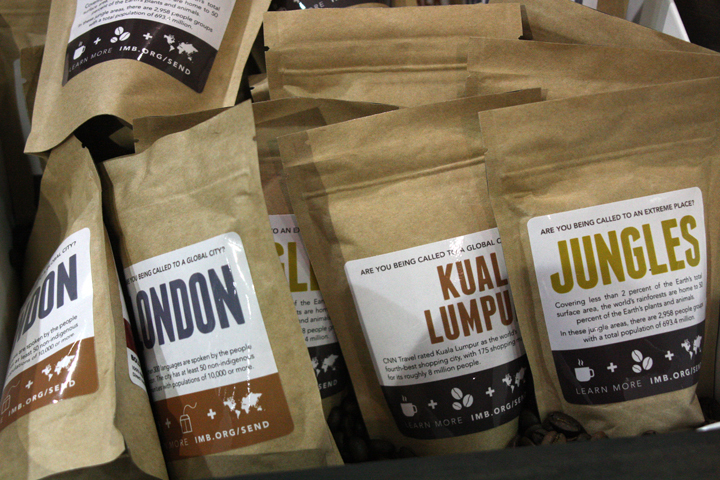 IMB has coffees and teas from countries and regions around the world where missionaries are serving. 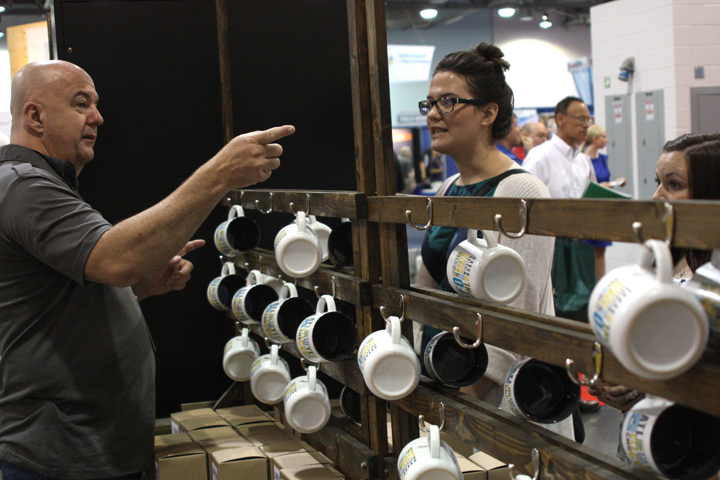 Jeff Calloway (left), NAMB’s city missionary to Cleveland, talks with visitors at the NAMB exhibit. 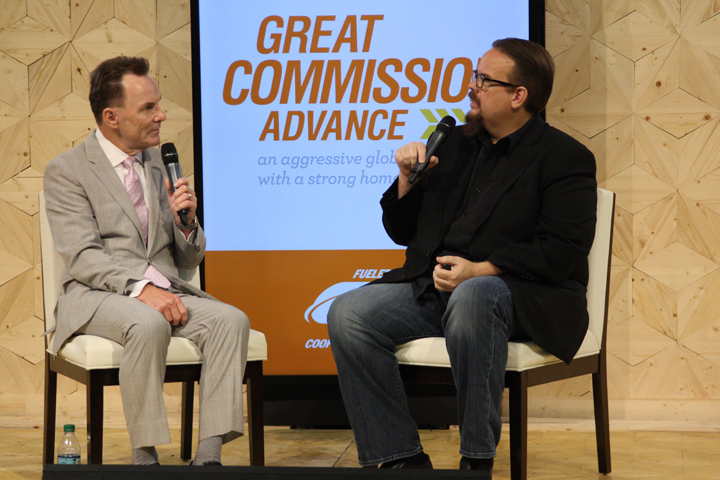 SBC President Ronnie Floyd (left) is interviewed by LifeWay Research President Ed Stetzer in the exhibit hall. 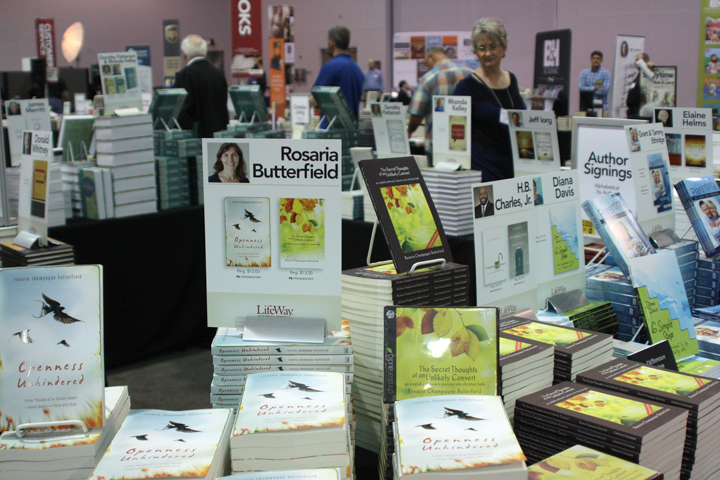 Rosaria Butterfield, author of “The Secret Thoughts of an Unlikely Convert: An English Professor’s Journey into Christian Faith,” is one of several authors who will sign their books at the LifeWay Store here in Columbus. 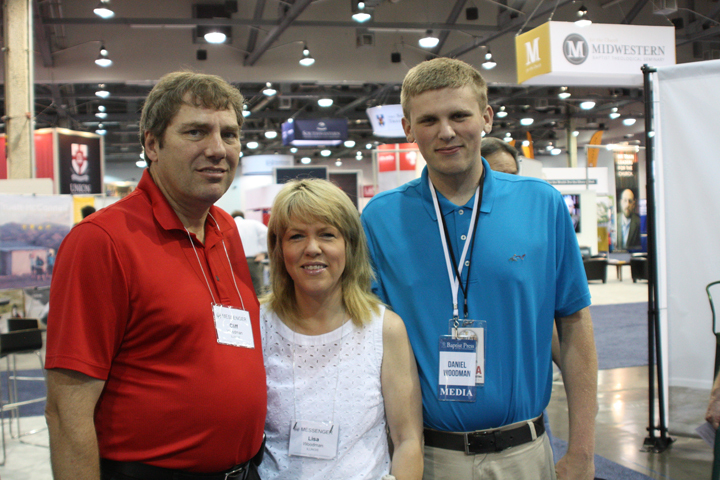 Cliff Woodman, pastor of Emmanuel Baptist in Carlinville, visited the exhibits with his wife, Lisa, and son, Daniel.